The Grand Mazzarò Sea Palace is set in an enviable position on the picturesque Bay of Mazzarò, offering panoramic views over the coast. 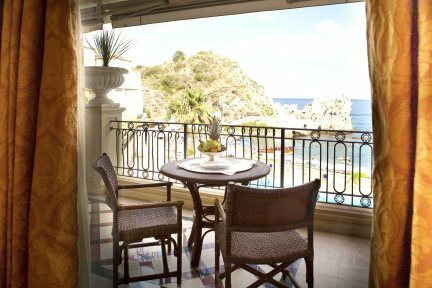 This luxurious and grand hotel has a truly sought-after location, with its own private beach and just a short stroll from the cable car that will take you up to the delights of Taormina. The hotel’s interior is beautifully designed in a classic Italian style with Carrara marble and bespoke furnishings. 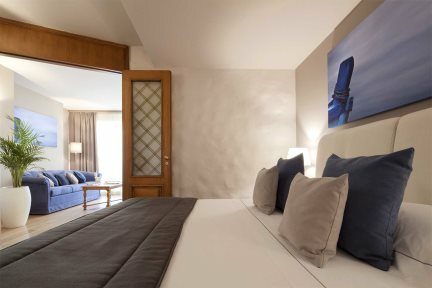 The spacious and well-equipped bedrooms all have a terrace or balcony where you can take in the stunning Mediterranean views. The elegant restaurant, Il Gattopardo, with its ornate wood panelling, opens out onto a beautiful terrace overlooking the bay and serves delicious Sicilian cuisine, while the Tancredi bar, serving fine wines, spirits and cocktails, is the perfect place for an aperitif or after dinner drink. In a prominent position, the inviting swimming pool is elevated just above the beach and offers a wonderful spot to soak up the Sicilian sunshine. Should you feel like exploring, the chic town of Taormina is just a cable ride away; amble along the cobbled streets of the old town, stopping for a granita in a beautiful piazza or visit the stunning Greek Theatre and enjoy the dramatic backdrop of the coast and Mount Etna. Swimming pool, restaurant Il Gattopardo, Tancredi piano bar, room service, wellness centre and solarium (at nearby sister hotel Atlantis Bay), fitness centre, Wi-Fi up to 3mb (10mb payable locally at €5 per day), four lifts, private section of beach. 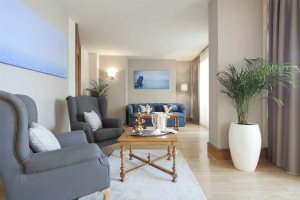 En-suite bathroom or shower room, satellite television, telephone, air-conditioning, hairdryer, minibar, safe, all rooms have a balcony or terrace with sea views. These rooms have a double bed (can request twin), marble bathroom, and a sea view. Superior Sea View rooms (24 m2) have a large private terrace equipped with chairs, table and comfortable chaise longue with stunning sea views. All of the Superior Sea View rooms have a luxurious bathroom with double sink marble top, air-conditioning, telephone, coffee &tea making, flat-screen satellite TV, Pay TV, Wi-Fi, mini bar, safe, bathrobe, hairdryer, slippers and courtesy set. Some of these rooms are interconnecting (on request). These suites have a double bed or twin beds, sofabed, a marble bathroom with double washstand, and a balcony or terrace with views across the bay of Mazzaro. The Suite Terrace Mini Pool room features a seperate living area, a private terrace (35m2), equipped with table, chairs and comfortable chaise-longue, with mini-pool with Jacuzzi, this room also has a double bed or twin beds, a luxurious bathroom with double-sink marble top, individually-controlled air-conditioning, direct-dial telephone, coffee and tea-makers, flat-screen satellite TV, Pay TV, Wi-Fi, mini-bar, safe, bathrobe, hair-dryer, slippers and courtesy set. 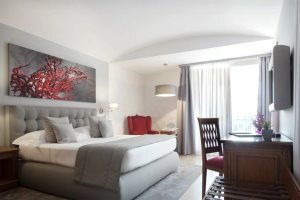 These comfortable suites have a double bed or twin beds, sofabed, a separate lounge area, two marble baths, balcony or terrace with views accross the bay of Mazzaro. The Suite Exclusive room has two elegant marble bathrooms, a large sitting area, a private terrace furnished with sunbeds, chairs and table, and a magnificent view over the bay. Dating back to 4th century BC, the town of Taormina offers an eclectic mix of the old and the new. 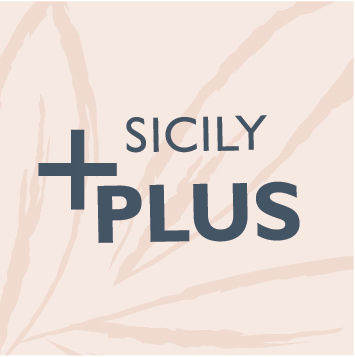 A chic resort, though unashamedly touristy, it is arguably the most enchanting town in Sicily. Her many charms include beautiful restored mediaeval buildings on winding streets, the famous passeggiata along Corso Umberto and the stunning Greek amphitheatre with spectacular views across the Gulf of Naxos and an impressive backdrop of Mount Etna. Taormina Mare, is just a short cable car ride down from the main town and a popular choice due to its beachfront location. The most famous of Taormina’s beaches and one of the prettiest of coves, Isola Bella Beach is connected to the little island of the same name by a thin strip of sand. Offering panoramic views and crystal clear water, this very popular, pebbly beach is connected to the town by cable car (or some 300 steps) and has sunloungers and parasols for hire. Just a short cable car ride down from the town of Taormina, Mazzarò is a pebbly cove with ample sunloungers and parasols for hire. Just south of Taormina, this beautiful and popular bay of white sand with some pebbly sections is the largest stretch of beach in the area. There’s a good range of facilities with sunloungers, parasols for hire, water sports, beach bars and restaurants. A six day festival of film screenings and press conferences held at the Greek Amphitheatre. A festival of live dance, theatre and opera set in the Teatro Greco. Take an evening stroll along the medieval Corso Umberto, a pedestrianized avenue lined with exclusive designer boutiques, antique shops and luxury jewellers. The Teatro Greco is Taormina’s leading attraction. Built in the 3rd century BC, this stunning Greek theatre offers a picturesque setting with views across the Gulf of Naxos and a backdrop of Mount Etna. Each summer the theatre is used as a venue for an impressive schedule of events; from rock concerts to opera as well as an annual film festival. Etna, which is the largest active volcano in Europe, erupts frequently and a tour up to the crater is a must for any tourist visiting the island.